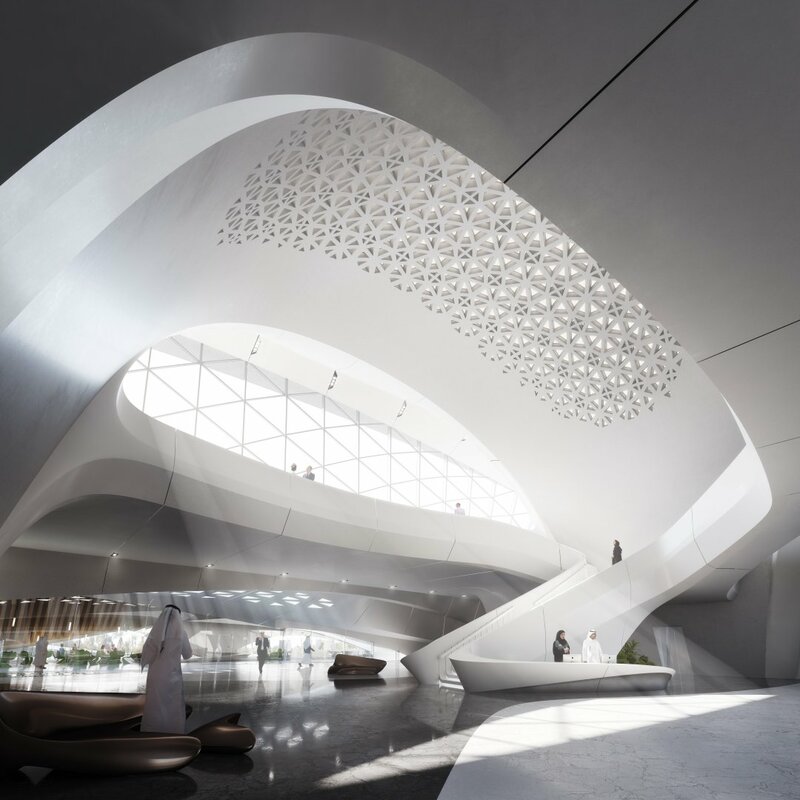 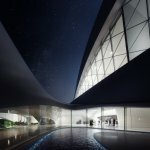 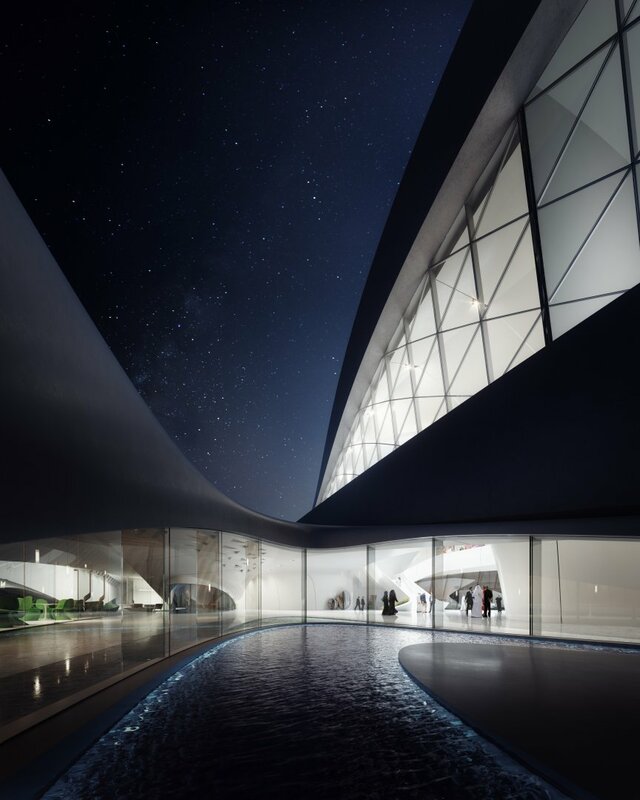 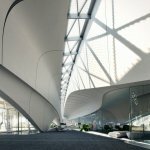 The Queen of Swoop, Zaha Hadid, has unveiled her latest project: the upcoming headquarters for Bee’ah, a waste management company based in the Middle East. 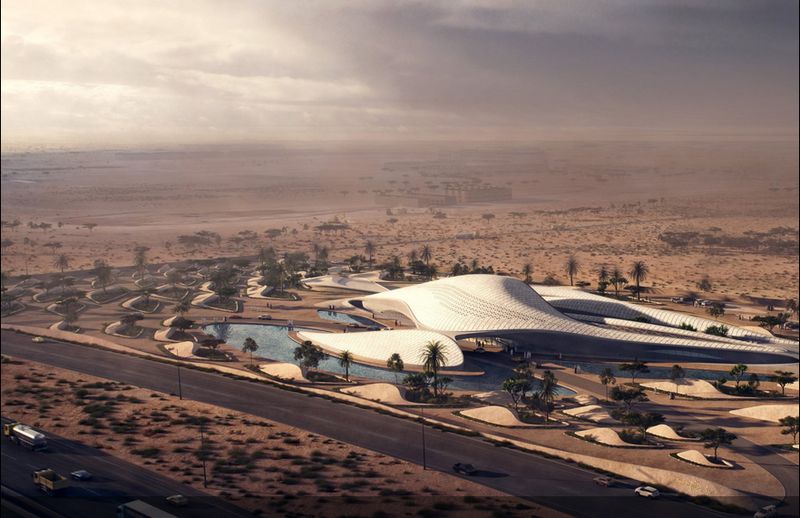 The roughly 75,000-square-foot structure, in the city of Sharjah in the United Arab Emirates, keeps a low-profile in its desert environment by taking the form of the surrounding sand dunes. “The formal composition of the new Bee’ah Headquarters building has been informed by its desert context as a series of intersecting dunes orientated to optimize the prevailing Shamal winds, and designed to provide its interiors with high quality daylight and views whilst limiting the quantity of glazing exposed to the harsh sun,” Zaha Hadid Architects said in a statement. 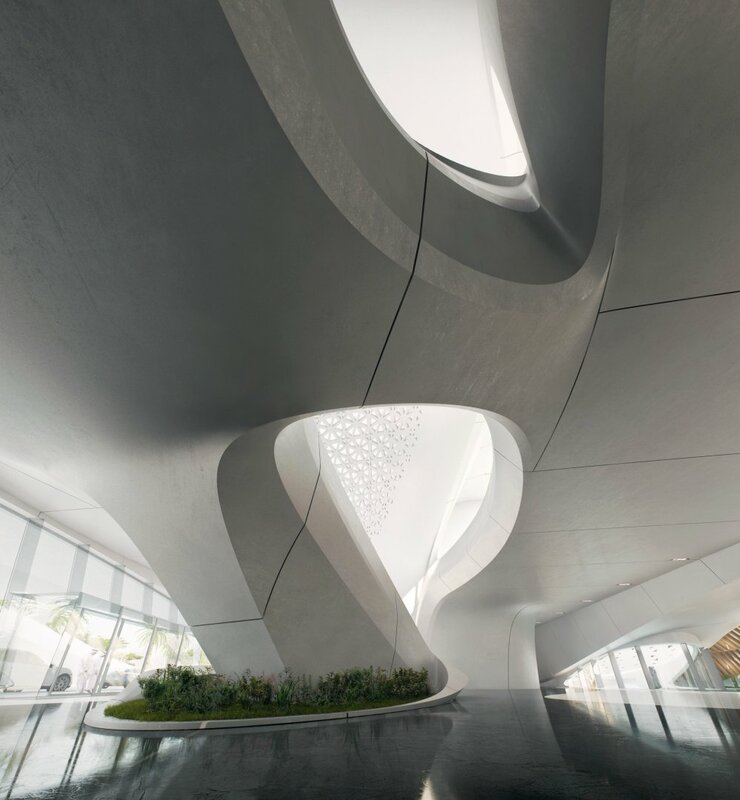 The two main “dunes” of the structure rise out of the sand and intersect, creating a courtyard, or what Hadid calls “an oasis.” This is intended to create a meeting space that also maximizes indirect sunlight and enhances ventilation. 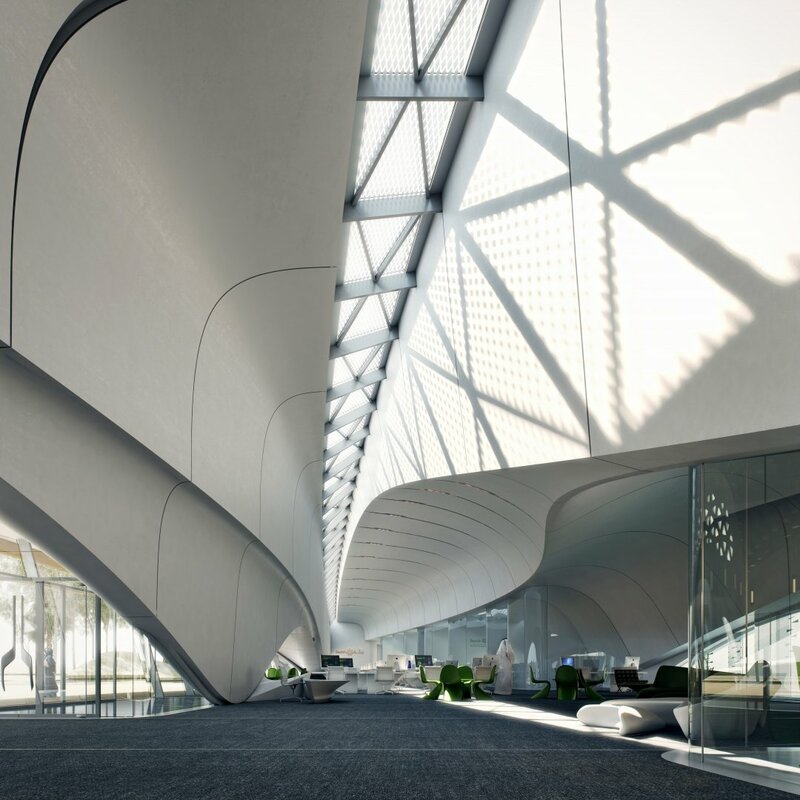 The “oasis” is part of the firm’s overall strategy to create a LEED Platinum building that produces zero waste. 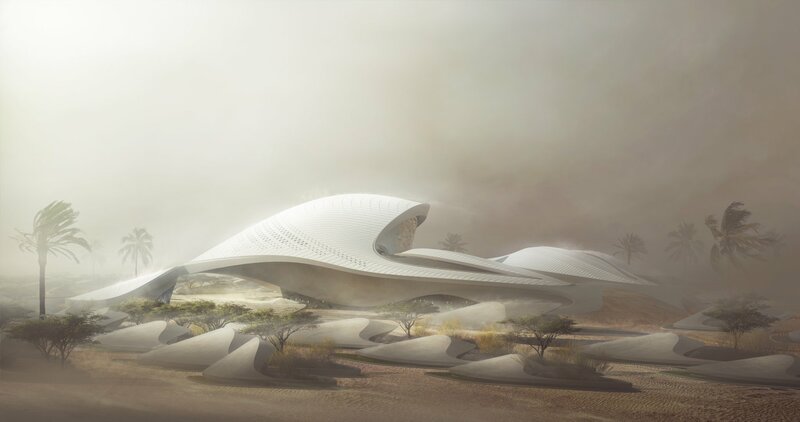 Bee’ah will use its headquarters as an educational center that teaches the community about caring for the environment. 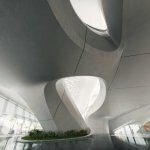 Hadid won an international competition for the commission last year.